ESPEN Elite Electronic fluorescent ballast has durable construction. It features series-parallel lamp connection circuit and programmed start type. 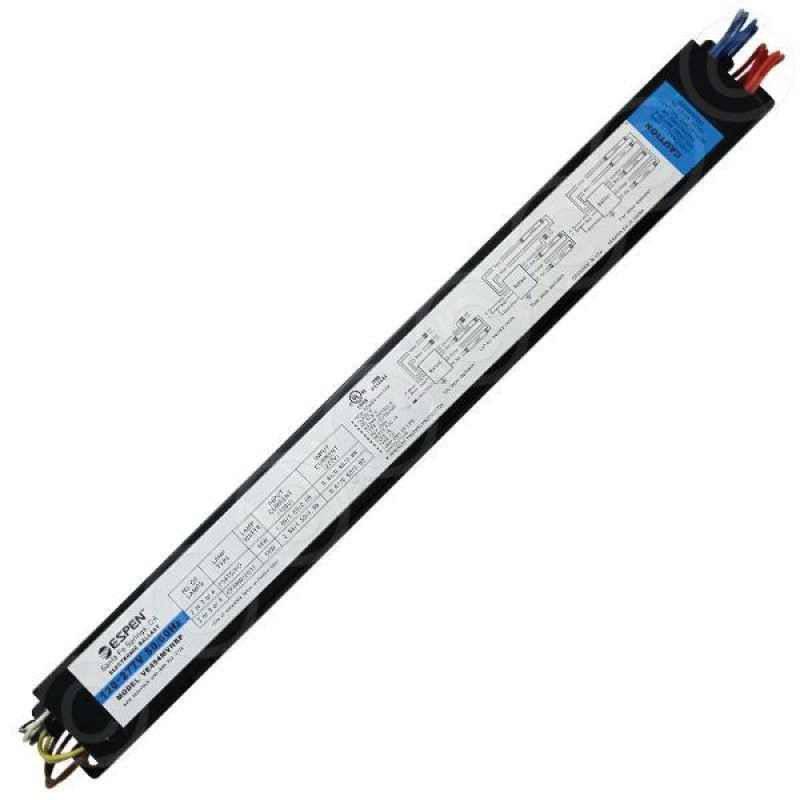 This lightweight ballast offers noiseless operation and provides Class-P protection. It is voltage rated at 120/277-Volts, power rated at 133 to 240-Watts, current rated at 0.66 to 2-Amps and temperature rated at 105 deg F. This thermally protected ballast supports four fluorescent lamps that provide wide range of lumen output. The electronic fluorescent ballast meets UL, cUL, FCC Part 18, CEE and ANSI C82. 11-2005/C62. 41-2002 standards.